It was great showing everyone last week at OOW what was coming. The only thing better is giving people the software to start using. Now that it's out, I'll do some blogging to get some of the new areas pointed out. 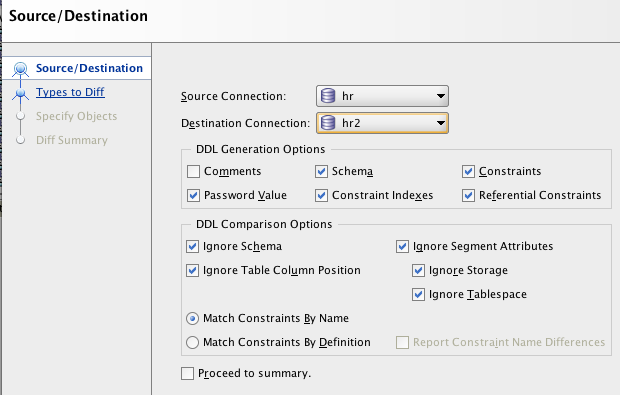 One of the major areas of work in SQL Developer 3.1 is the diff generation between 2 schemas. This is completely rewritten from the ground up. That's interesting but maybe more interesting to you is that it no longer requires the change management pack. That means you are free to use this feature now without any worries of what is licensed and on which databases. It's still in the normal place in the Tools menu. The first screen now gives you more control over what you are going to want to consider is a difference. 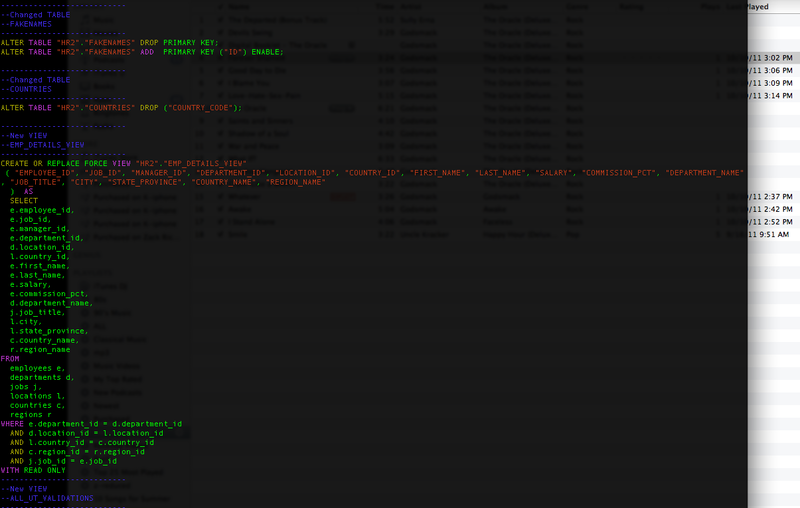 For example, matching constraints based on the name or the definition. If I have a check contraint in two databases both doing the same things but have different names, it will not be flagged if I choose contrants by definition. At the end of the wizard, there is a new tree representation of the differences between the schemas. The tree shows everything possible. Unchecking the "Show Equal Objects" will restrict to just the ones with changes. Then in the lower portion of the screen, you get the standard diff window that highlights the changes in the objects. Clicking the script tab you'll see the alter statement. 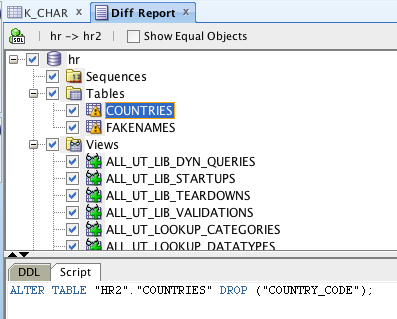 The finally clicking the SQL icon in the toolbar will generate the script to sync the two connections.